Crochet Pearl Flower Popcorn Square Motif Free Patterns. Popcorn stitch is such a fun stitch that can be arranged to different patterns into squares. 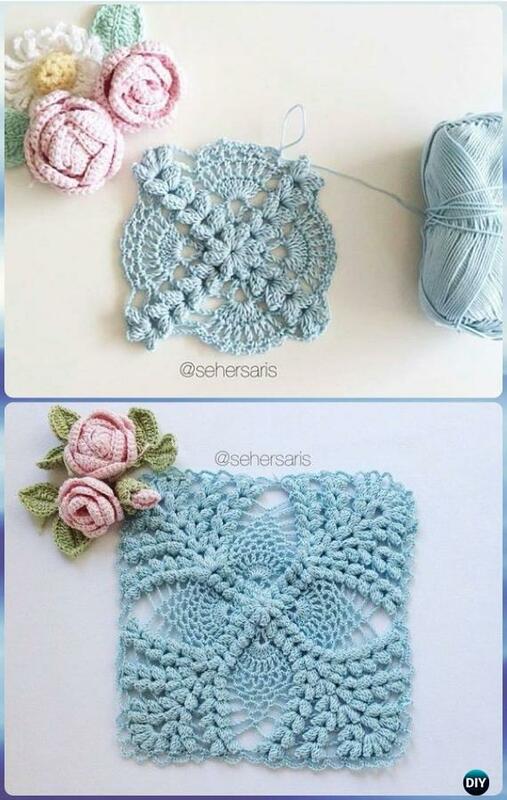 Our Crochet Channel today is going to share this Crochet Pearl Flower Popcorn Square Motif which is fun and inspirational to stitch out for blanket and pillows. There is a Spanish version of video instruction available for this creative design of popcorn square, scroll down and make own color complex.